In 2010, I went a little crazy taking photos of some daisies in my neighborhood. They made me think of the movie, You’ve Got Mail, where Meg Ryan’s character says that daisies are the friendliest flowers, and then Tom Hanks’ character brings her a bunch of daisies, trying to convince her that the big bad Fox Book Store man might not be as bad as she thinks, as in, he is really the guy on the internet she has fallen in love with. Ahh….so romantic! So this year, the flower of 2012 seems to be the poppy. This little spot of poppies on a corner in my neighborhood always just knocks my socks off when it blooms. So here it is, 2012, the spring of bold colors and poppies! Does anyone know of a romantic story to go with poppies? No romantic stories. 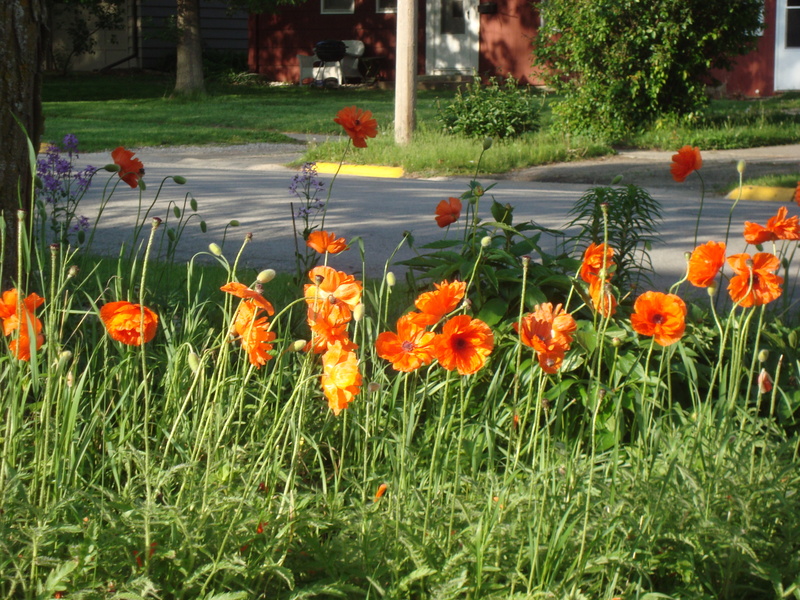 But lots of great memories of playing in my neighbor’s back yard, Poppies grew at the top of the hill. I just love the color of poppies. And their fleeting beauty. Lovely poppy pics! Amazing color!